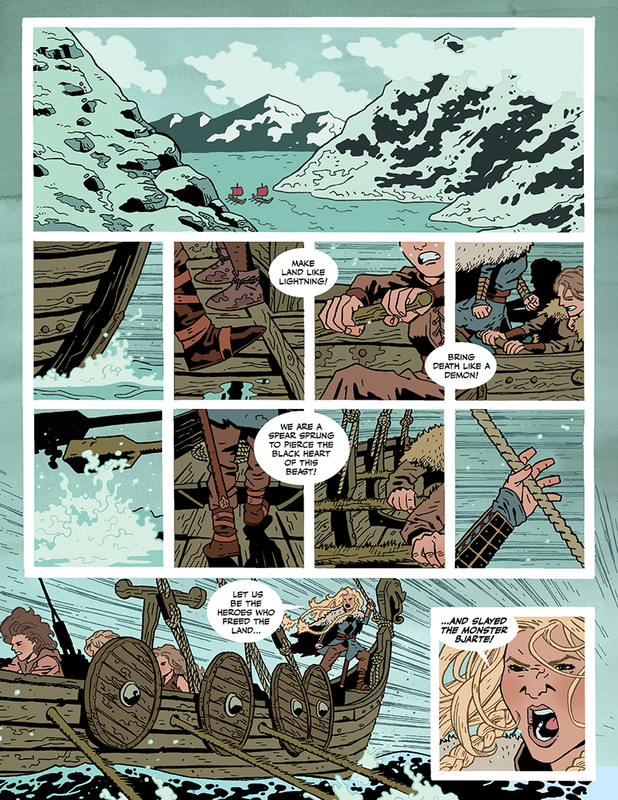 A group of isolated shieldmaidens protect their village against a tide of men who think they can seize land from them. 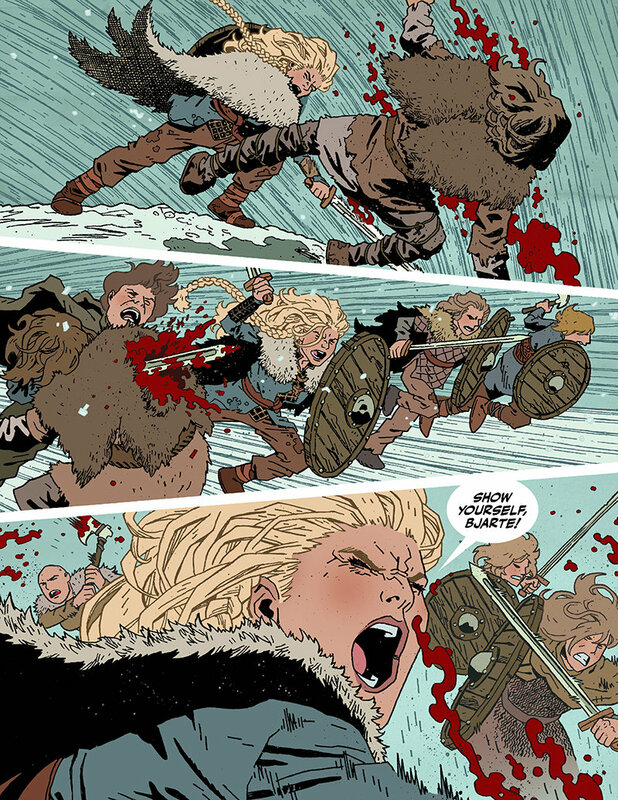 Vif takes her band of women off viking to quell the advances of a loitering mystical scumbag, Bjarte. But some battles rage on inside us long after the field is empty, and some opponents won't ever stay down. 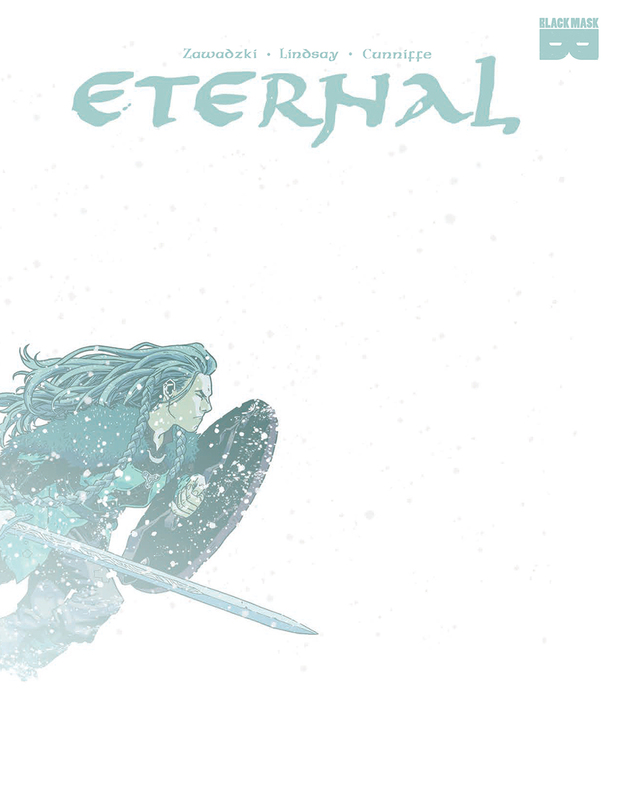 Eternal is a haunting story of how vulnerable you make yourself when trying to protect everything around you. 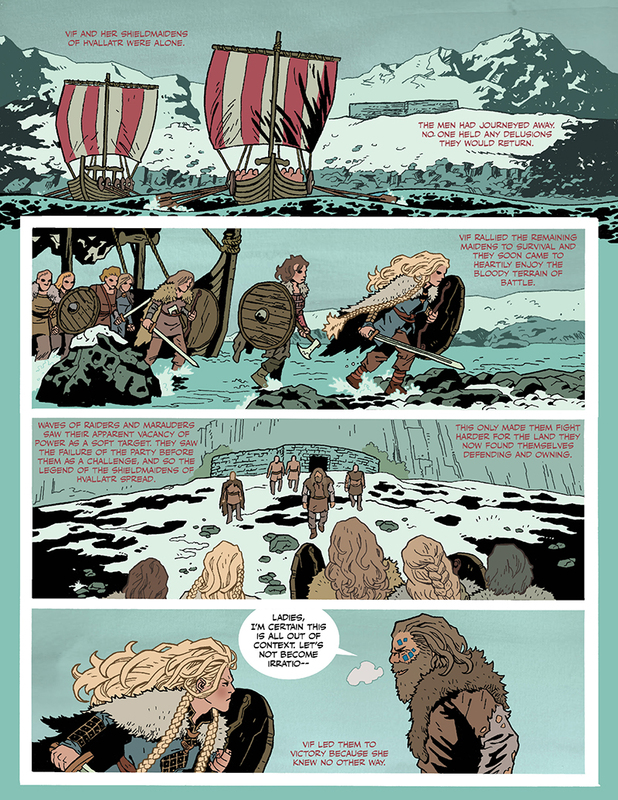 This oversized bande dessinee-style graphic novella is a love letter to brutal violence and eternal emotions. 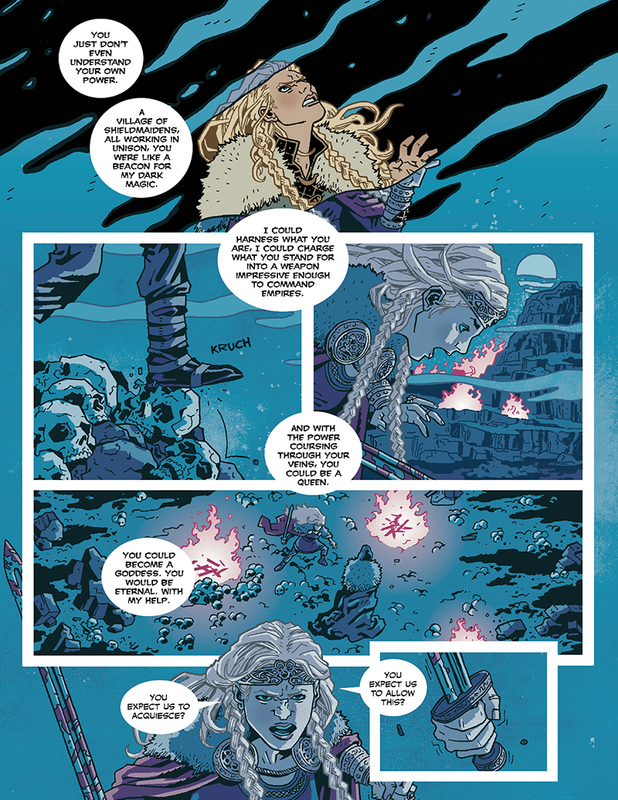 Illustrator Eric Zawadzki (The Dregs) delivers a heartbreaking and beautiful world of brutality and legacy underscored by the emotional narrative engine developed with writer Ryan K Lindsay (Beautiful Canvas, Negative Space) and laid out with a delicious palette by colorist Dee Cunniffe (The Dregs) and elegant book designs by Courtney Menard (4 Kids Walk Into A Bank). 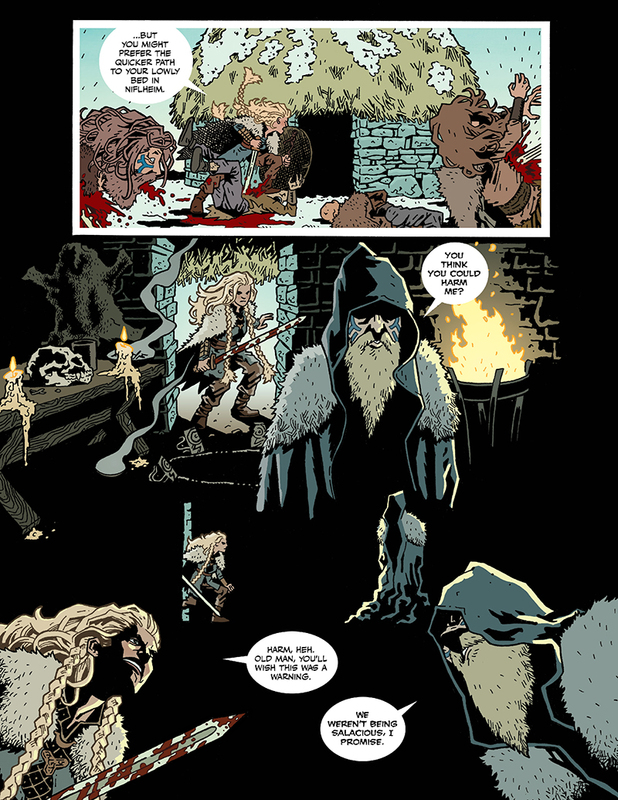 This self-contained story is a dream project for the creative team in how it connects with the reader, and what it shows the comic medium is capable of producing.